On May 21, the Lakeport city council gave first approval to a cultivation ordinance that would require grows be conducted within detached structures on residential properties. The council will hold the second reading of the ordinance at its June 18 meeting. The document before the council on Tuesday night also prohibits outdoor cultivation and requires grows to be contained in accessory outdoor structures. However, it also puts the emphasis on complaint-driven enforcement. On May 22, the Earth Choice Collective in Fresno closed its doors after a local TV station blew the whistle on the below-the-radar dispensary. Undercover narcotics officers served Earth Choice Collective with a notice to vacate several weeks ago, but it had remained open until the TV station aired its report. On May 25, Anaheim authorities reported that 10 of 11 dispensaries had complied with orders to close their doors. Anaheim ordered all dispensaries to close in the wake of the California Supreme Court ruling upholding the ability of localities to ban them. One remained open and was facing fines of up to a $1,000 a day. Last Wednesday, San Bernardino police shut down another dispensary. They, too, were acting in response to the California Supreme Court ruling. More than 100 mason jars filled with marijuana were seized at the SBPC dispensary, and several workers and customers were detained temporarily. Last Thursday, DEA agents and San Bernardino County deputies raided two dispensaries and five homes associated with them. Targeted were the Green Oasis Collective dispensaries in Yucaipa and San Bernardino. Five people were arrested on a variety of charges, including possession of pyrotechnic explosive devices, possession of meth, and various marijuana offenses. Last Friday, police in Garden Grove began fining medical marijuana delivery services. The move came after the services sprang up in the wake of the city's ban on dispensaries last month. They are fining the delivery businesses $1,000 a day. One dispensary, OrganaCann Wellness Centers, switched to delivery mode after the ban and reported receiving $3,000 in fines, but is vowing to vigorously defend itself. Also last Friday, Stockton dispensary operator Matthew Davies pleaded guilty to federal marijuana charges. He had argued that his store in Stockton operated in accordance with California laws, after working extensively with accountants and lawyers before opening the business. He faces a mandatory minimum five-year prison sentence. Also last Friday, a statewide dispensary regulation bill failed to advance, but its sponsor, Rep. Tom Ammiano (D-San Francisco) said the bill lives and he is talks with members of the Senate to advance it. On Monday, the Healdsburg city council voted to form a task force to study cultivation issues. The task force will consider whether outdoor grows will be allowed, or whether they should be confined indoors. Police Chief Kevin Burke had proposed guidelines in response to neighborhood complaints about backyard grows, and the Planning Commission had recommended allowing patients to grow up to 12 mature plants and 24 immature ones, but limited grows to indoors and not within 300 feet of schools, churches, hospitals, child care and youth centers. But after the guidelines were publicized, they met harsh criticism, thus, the task force. As of Monday, DC medical marijuana patients were still waiting to get their medicine. Two dispensaries and three grow operations have been approved by District officials, but the District Department of Health has yet to give doctors the authority to recommend marijuana to their patients. A spokeswoman for the Department of Health said marijuana dispensaries would likely open in the middle of June. Last Tuesday, medical marijuana supporters held a press conference in Detroit to publicize the imminent imprisonment of several Michigan patients and caregivers. One, Jerry Duval, a kidney-pancreas transplant patient with coronary artery disease, has been sentenced to 10 years in federal prison and must report next week. Three other Michigan cultivators, Dennis Forsberg, 59, his son Lance Forsberg, 32, and Ryan Basore, 36, who were sentenced to 3-4 years in prison surrendered last Thursday. They were all convicted in federal court without being able to present evidence that they were complying with state law. Last Wednesday, federal prosecutors appealed the sentence of a medical marijuana provider because they thought it was not stiff enough. They appealed the two-year prison sentence given to former University of Montana quarterback Jason Washington, who was convicted on federal charges for his role in a dispensary operation legal under state law. Prosecutors have also appealed the sentences of three other medical marijuana defendants out of 33 convicted in the wake of the 2011 federal crackdown in the state. On Monday, a medical marijuana dispensary bill passed the state legislature. The Assembly approved it the previous week, and the Senate approved it Monday. It now goes to the governor. If he signs it, up to 66 dispensaries will be allowed in the state, with up to 40 in Las Vegas and 10 in Reno. Last Thursday, the Senate approved a medical marijuana bill, but with amendments designed to placate Gov. Margaret Hassan (D) that advocates say will make the bill unworkable. The Assembly had already passed the bill; now a conference committee must try to reconcile the two versions. Last Thursday, more than 600 New York physicians came out for pending medical marijuana legislation. They signed a statement affirming that doctors should not be punished for recommending the use of marijuana for seriously ill people, and that seriously ill people should not be subject to criminal sanctions for using marijuana if the patients' physicians have told them such use may be beneficial. The bill also has the support of the state’s leading medical organizations, including the New York State Nurses Association, The Hospice and Palliative Care Association, Pharmacist Society of the State of New York, among others. Last Friday, New York City Mayor Michael Bloomberg trashed medical marijuana, calling it "one of the greatest hoaxes of all time." The former pot-smoker's comments came as the legislature is considering the medical marijuana bill. 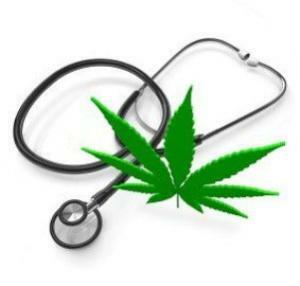 On Monday, the medical marijuana bill passed the Assembly. It now goes to the Senate, where three previous medical marijuana bills approved by the Assembly in recent years have died. But the pressure is on. Last Wednesday, the sponsor of a medical marijuana bill testified on its behalf, but acknowledged that it is going nowhere in the Republican-controlled legislature. Instead, Rep. Bob Hagan (D-Youngstown) is urging support for a constitutional amendment on the issue. Last Thursday, DEA agents and local law enforcement raided four southern Oregon dispensaries. Raiders hit the Greener Side in Eugene and three Medford dispensaries. Several people were arrested. Also last Thursday, the state legislature approved adding PTSD to the list of ailments for which medical marijuana can be used. The Oregon House passed Senate Bill 281 36-21, following a 19-11 vote in the Senate. The bill awaits Gov. Kitzhaber's signature. On May 23, an attempt to legalize medical marijuana in the state failed in the House. Rep. Todd Rutherford (D-Columbia) tried to amend a bill dealing with controlled substances to add marijuana to the list of drugs that doctors could prescribe, but his amendment was ruled out of order. On Monday, it was revealed that the DEA has sent threatening letters to 41 Seattle-area dispensaries that have effectively closed some of them. At least one Spokane dispensary has also received a threat letter, but from the US Attorney, not the DEA. The God Dam money hungry power driven Government is NOT going to let the people have their way. Like I said before,until these power and money hungry lawyers and politicians get their cut nothing will change. We are owned.